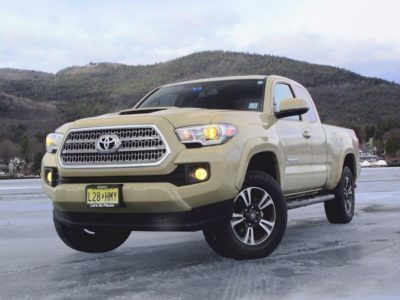 Tacoma might be the No1 mid-size pickup truck in the US. But, outside this market, Toyota is dominating with another model – Hilux. 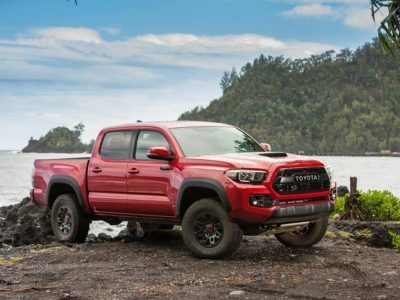 This truck is very popular in Europe, Australia, Pacific Asia, South America… And after the short break, the 2020 Toyota Hilux is getting more significant changes. The mid-cycle update will include cosmetic changes and modifications of the engine range. Well, the truck is very versatile with numerous options, trim levels, and drivetrains. Expect the same for the upcoming model. One of the major questions about the 2020 Toyota Hilux is – will we see it in the US? There are rumors about it. However, we doubt the next model will go to the major market. Maybe when the pickup enters the new generation. Besides that, its diesel engines are big polluters, while the US regulations are very strict about emissions. What to expect from 2020 Toyota Hilux? Price corrections thanks to new options. Well, the good thing is that pick pi, not the same everywhere it appears. Different drivetrain options, trim levels, additional packages, are making it very interesting. 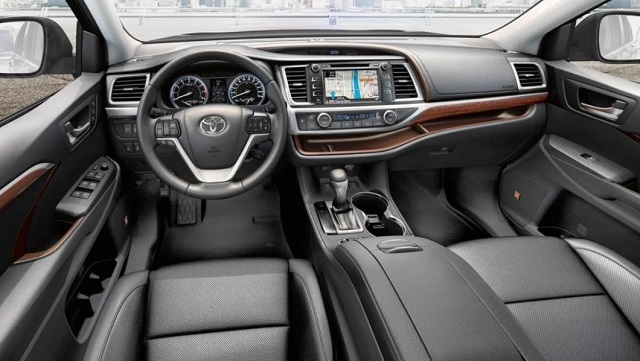 Toyota can refresh it by adding some features from one market to another. Not the classic redesign, but it works, and it is cheaper. 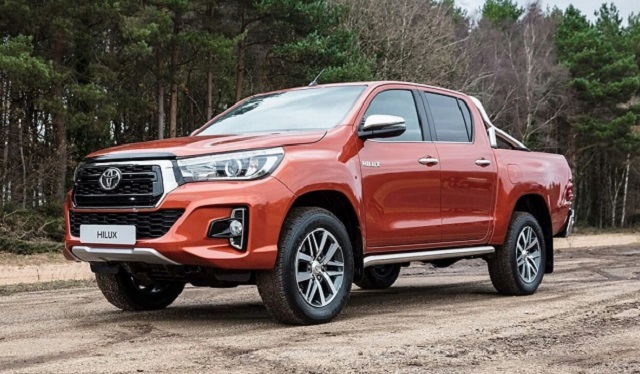 Well, the 2020 Hilux will also get a cosmetic treatment, where the front and rear fascia will suffer the most changes. The last generation of the 2020 Toyota Hilux is using plenty of powertrains. When we gather engines from all markets, we get a total of three petrol and six diesel units. Also, there are 5- and 6-speed transmissions, bot available with manual and automatic shift. 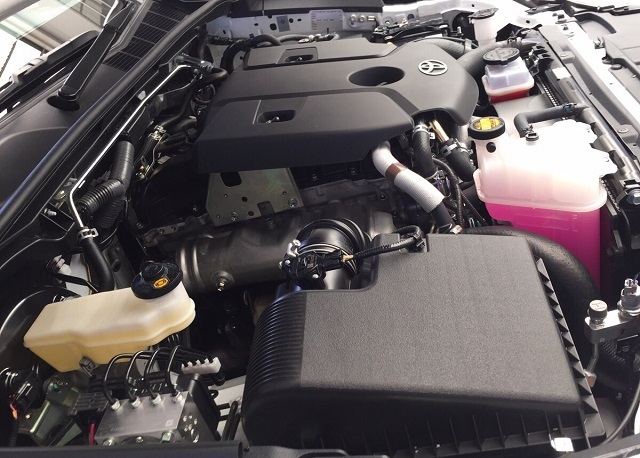 A couple of four-cylinder gasoline engines are 2.0-liter and 2.7-liter displacements. The first one is capable to deliver 140 hp and 185 Nm of torque (135 lb-ft). The second is more powerful with 160 hp and 245 Nm / 180 lb-ft. The last, but not the least important is a 4.0-liter engine. This is the only V6 powertrain in the lineup and it can produce 235 horsepower and 377 Nm (277 lb-ft) of twisting power. As said, there are six different configurations available for lovers of diesel engines. Only one is not turbocharged. The smallest displacement is a 2.4-liter turbodiesel inline-four unit with an output of 150 hp. Depending on transmission, the engine can create 340 Nm (250 lb-ft) or 400 Nm (300 lb-ft) of torque. Both manual and automatic cases are with six paces. Two different setups are available for a 2.5-liter turbodiesel engine. With an intercooler, the powertrain delivers 145 hp and 340 Nm, and without it, outputs drop to 100 hp and 200-260 Nm (150-190 lb-ft). The most favorite diesel engine is a 2.8-liter inline-four. Available in most markets, it is capable to burst 177 hp and 420-450 Nm (310-330 lb-ft) of torque. A six-speed gearbox is a power router, and buyers will choose between manual and automatic. Maximum towing capacity for the 2020 Toyota Hilux with this drivetrain will be 3,500 kg (7,700 pounds). 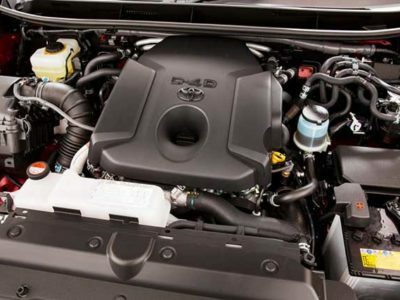 An engine that could be available for the upcoming Toyota Tacoma Diesel in the USA is a 1KD-FTV 3.0-liter turbo-four. It can punch out 163 hp and 340-360 Nm of torque. The only unit available without turbo system is a 3.0-liter 5L-E displacement. Owners of this truck are receiving the least power, only 95 hp. 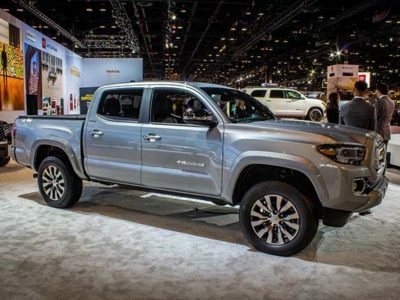 Japanese carmaker Toyota gave us hints related to the redesigned version of its truck for the 2020 season. Changes are notable in every segment of the new pickup. Hilux continues its growth in all markets. The new model will have a range from the basic Single Cab work mule to the Double Cab SUV-like pickup. 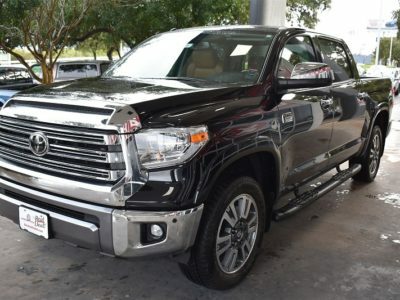 Now, the 2020 Toyota Hilux adds new features and improvements to the existing model. These will make Hilux even more interesting to European customers. On the front, a new grille with more chrome details is going to reflect the robust beauty of the 2020 Toyota Hilux. Bumpers are also redesigned with a larger, wider aperture and suggest a lower focus. Powerful and muscular side skirts extend further to the rear. Buyers will get a choice – from 15-inch alloy wheels on the SR Class Double Cab models and the brand-new 17 in alloy wheels on the Double Cab SR-X class. Three body styles are providing a great choice for customers. 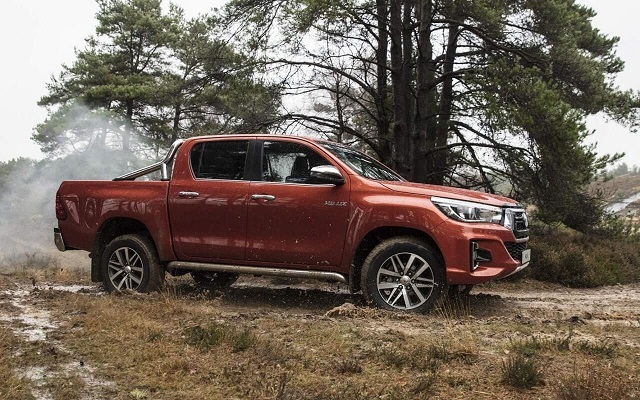 Double Cab was very popular among buyers for leisure and adventure and was the number one customer choice in Europe for then years. Extra Cab is the second configuration and then Single Cab is a working machine with least buyers in a previous couple of seasons. Toyota recently launched three special models for Australian outskirts. Rugged, Rugged X and Rogue trucks, all received special treatment and upgrades, making them wilder and more capable to keep the pace in tough terrains. Rugged pickup for the 2020 Toyota Hilux is getting bulbar. Snorkel might be the most eye-catching upgrade. Also, skid plates and other parts will protect the underbody. The trapezoidal front grille is standard, while buyers will choose one of the unique colors for this type of pickup. Rugged X is the most expensive of all three new models. It adds LED lamps and steel bars for the front fascia. This will make both of these trims significantly heavier than the standard truck. Rugged and Rugged X will use side steps and 17-inch wheels with all-terrain tires. 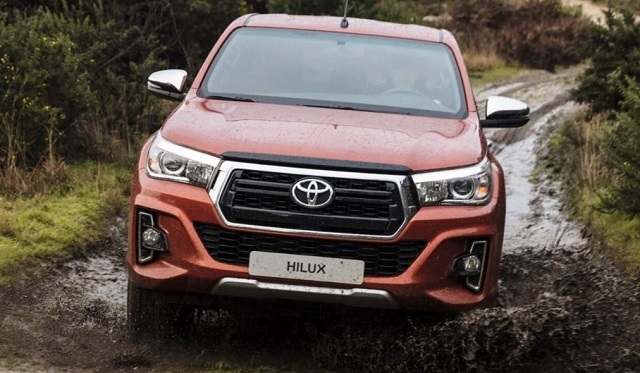 The 2020 Hilux Rogue will come with more conventional appearance, without a snorkel and a bulbar. Bigger wheels are standard, and this trim also adds fog lights. Bed cover will protect the cargo wherever you head with your truck. Since it appears in so many markets we can’t talk about the price of the 2020 Toyota Hilux. The gap will be huge, as well as the offer. The new truck will probably appear first in Europe. Then, we could see some more special editions for the Australian market. These kinds of vehicles are very popular out there, so we won’t be surprised if the Japanese carmaker starts sales in this country first. 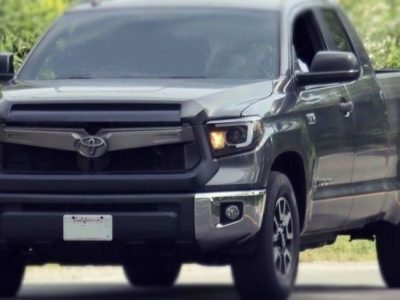 2020 Toyota Tundra Diesel – Truth or Fake News Again?